It was a happening Friday noon at Mid Valley Megamall last Friday. 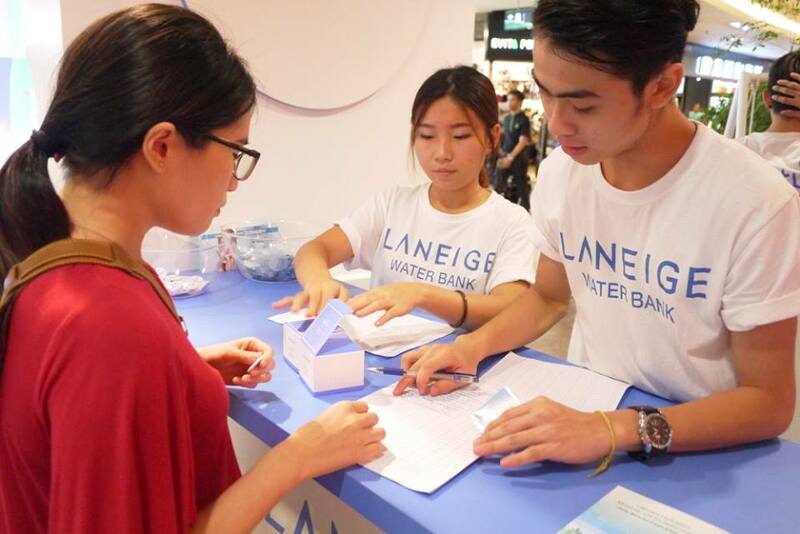 We had visited Laneige Beauty Road 2016 that featured the popular South Korean actress Lee Sung-Kyung and the introduction of the New Lanaige Water Bank. For the second time after its debut in 2015 in Malaysia, The Laneige Beauty Road brings more than just K-beauty trends but also more excitement with the appearance of pretty + friendly Lee Sung-Kyung. The Beauty Road was truly a fun-filled one with free giveaways, games, contests, cute water droplet mascots and a K-beauty experience area where one can learn everything one needs to know about K-beauty. 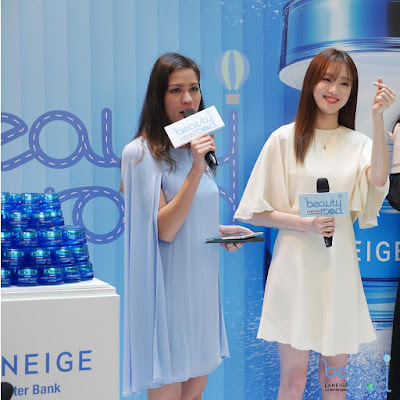 The upgraded Water Bank Gel Cream and Water Bank Moisture Cream were also launched officially at the Laneige Beauty Road. For more information on the newly launched Water Bank Gel Cream and Water Bank Moisture Cream, you could read my previous post here. 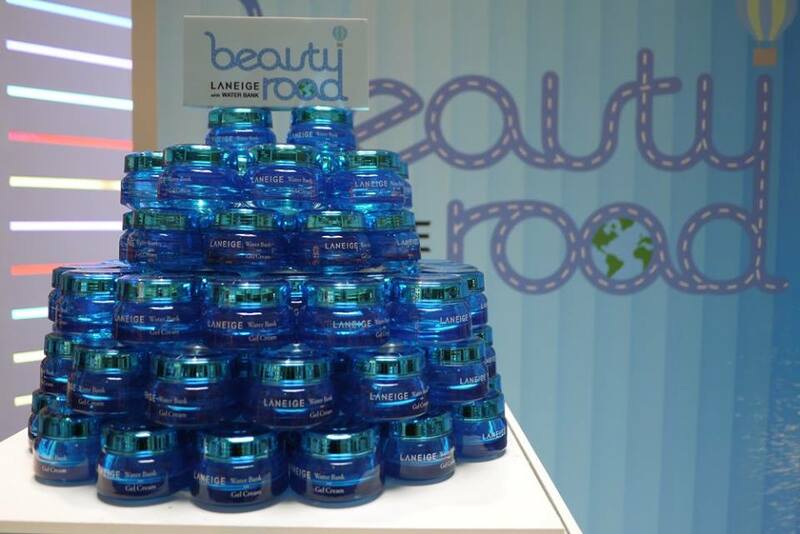 In fact, Laneige Beauty Road 2016 features the Water Bank is set to conquer 11 cities across the Globe starting with Seoul in late April, Kuala Lumpur on last week, with other cities to follow including Singapore, Bangkok, Taipei, Shanghai, Hong Kong, Guangchou, Beijing, Chengdu and lastly Toronto in Canada. 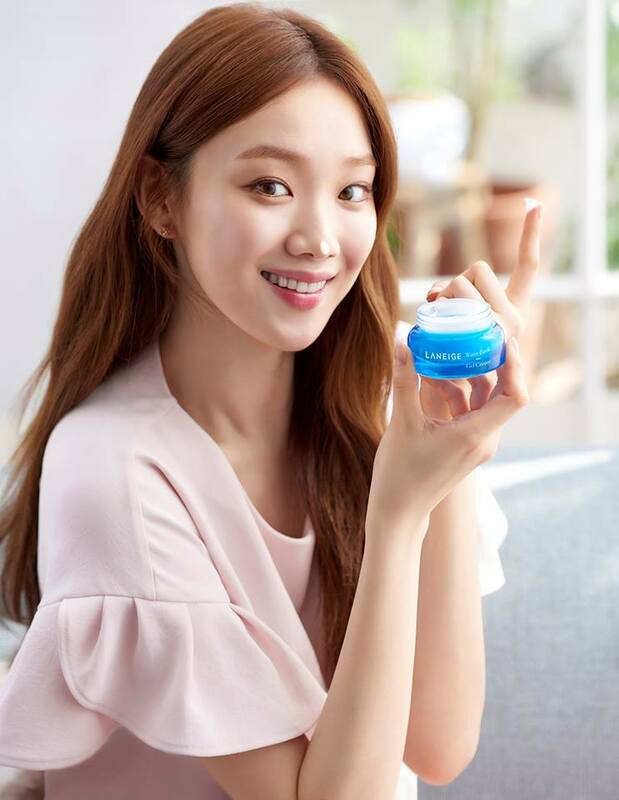 Laneige fans will get to meet Lee Sung-Kyung, who is also Laneige’s model as she will be making appearances as well as sharing her skincare tips and letest K-beauty trends during the global beauty tour. 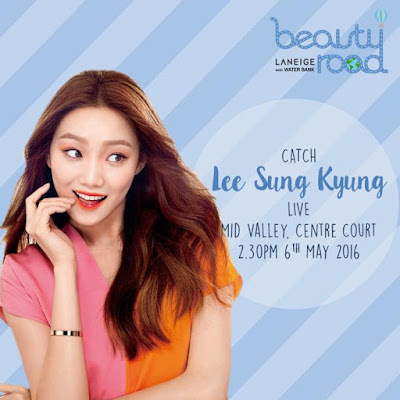 Laneige fans shouldn’t miss the Laneige Beauty Road as it’s only held once a year with unique activities and events brought to us all the way from Korea. 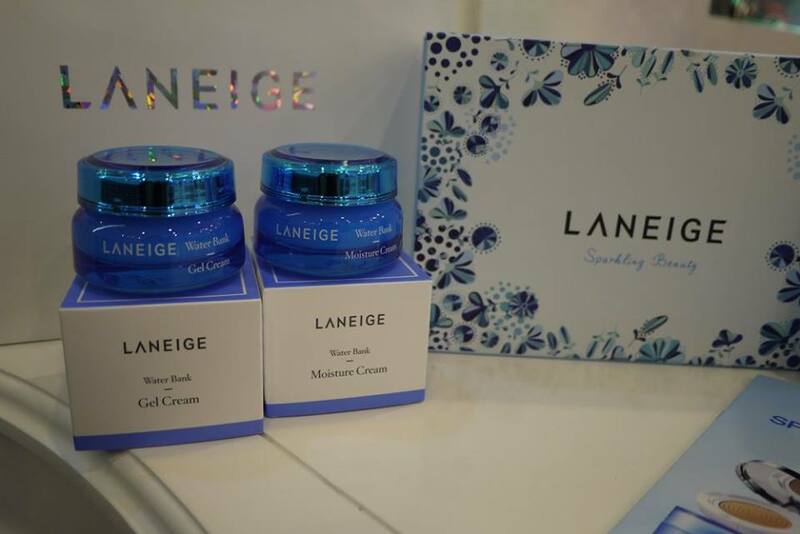 Not only that, customers get to enjoy promotions and gifts with purchase at the Laneige Beauty Road too. Continue with some details of Lee Sung-Kyung. She was appointed the model for Laneige’s Two-Tone Lip Bar back in September last year, and she is currently also features in the latest Water Bank commercial. She began her acting career in 2014 with the drama series ‘It’s Okay, That’s Love’ after her modeling career in which she won the Lex Prize in the 17th Super Model Contest and Unix Hair New Style Prize in the 2nd Asia Pacific Super Model Contest. All I see is Lee Sung-Kyung and Lee Sung-Kyung! 😁😁😁 Anyway, the Laneige water bank series are all really good products! Did you have the chance to try the product? DO share a review! Thanks! Lee Sung Kyung character was so annoying in cheese in trap drama series. She look beautiful here. I love the Laneige Water Bank. Lee Sung-Kyung looks so pretty and I love her skin too. Soft and moisturised. Tried it and it's so moisture! Laneige is a great brand. Looking forward to use this product of theirs. 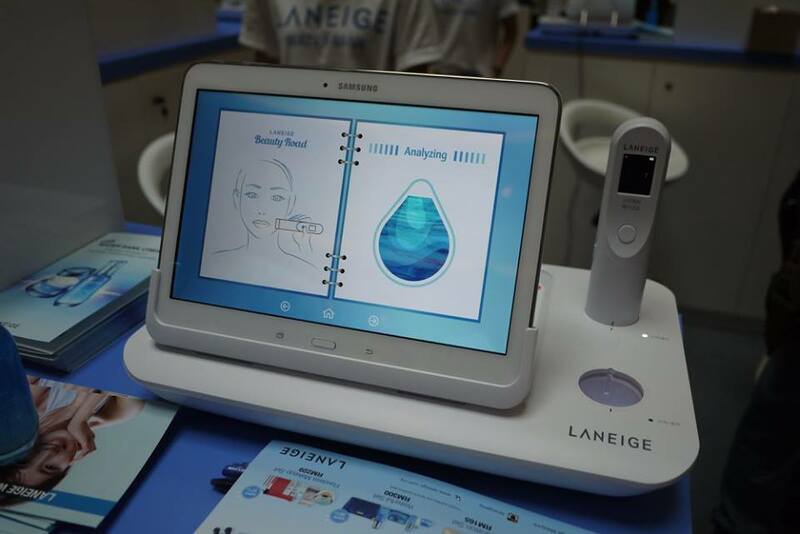 Laniege is a trusted brand and surely products will be best. Laneige is always a great brand.. With many quality products.. NIce event! Really need to tryout this product as it seems very moisturizing. Gosh I love love love Lee Sung Kyung. Her voice is nice too!